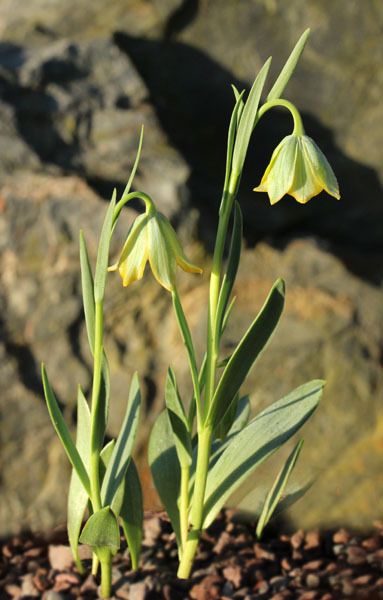 Fritillaria bithynica is a very dwarf plant native to the Aegean Islands and Western Turkey where it is found in scrub and stony soils. 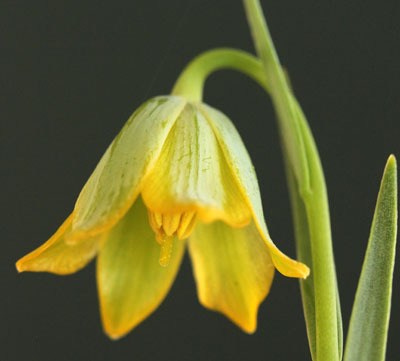 The flowers are yellowish green, almost silver on the outside. The plant shown here was grown from seed obtained in the AGS seed exchange in 2004/5 and sown in the spring of 2005 in a loose gritty compost. As we moved house in 2006 it was transported along with other small pots and then totally neglected for the following next six years as we struggled to make a garden in our new site. The pot was rescued last year when I noticed a little flower appearing, having survived outside after two of our severest winters. It was repotted and left outside in a north facing cold frame and this year rewarded us with producing its dainty spring-like bells. While this is not the recommended method of cultivation it is amazing how tough some of these little bulbs are. The name 'bithynica' comes from the ancient region, and Roman province, of Bithynia, in north-central Turkey. 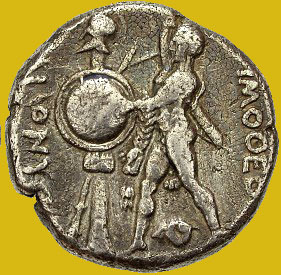 The coin above, from about 350BC shows Herakles - while the chief town is remembered as hosting the Council of Nicaea. 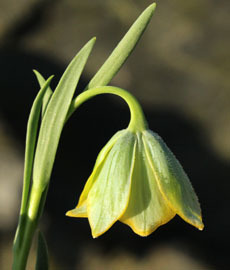 Fritillaria bithynica is also known as F.citrina, F.dasphylla, F.pineticola, and F. schliemanni.